The Littleton Area Chamber of Commerce announces a call for artists for the Littleton Arts And Culture Festival 2019. 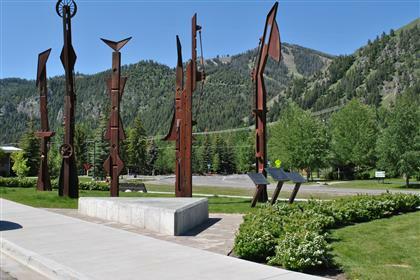 This is the 50th year of what had been known as the Littleton Art Festival. For the 50th anniversary celebration the Chamber has re-imagined this event to be a celebration of arts, culture, and community. On Saturday, September 21st, the Chamber will welcome a diverse group of artists and visitors from around the region to celebrate art, culture, and community together. The Littleton Arts And Culture Festival 2019 is open to painters, sculptors, musicians, performers, poets, jewelry makers, designers, and culinary artists. Artists of all kinds will be greeted with a diverse audience to view, interact with, and purchase their craft. Littleton, New Hampshire is the artist and cultural hub of the region. The vibrant yet relaxed downtown and recreational opportunities are bringing a new generation of young entrepreneurs from far and wide to create the future of this small town, together. The Littleton Area Chamber fosters sustainable economic development and positive community growth. They are a small but well-connected organization. They work for their members and the many communities in which they live and work. For more information, contact info@littletonareachamber.com. Venice MainStreet is holding a contest for an interactive mural in Historic Downtown Venice, Florida. The mural will be located predominately downtown for hundreds of thousands of yearly visitors to see. Work must be completed by June 14, 2019. A Visit Florida grant will pay for a portion of this project. Create an interactive mural that encourages people to take a picture with the image and share on social media. It must fit in with the ambiance of Historic Downtown Venice and advertise Venice, FL. Concept should include details on scope of pay, maintenance expectations, artist bio with images of past work, and the materials to be used. Theme: 3-D action image fitting to Venice in the time period of 1920s and the 1930s. A committee will choose the winning artwork by April 5, 2019. The artist will receive the credit and recognition of the artwork and financial compensation for their time and efforts. Financial compensation amount is yet to be determined. Venice MainStreet (VMS) is committed to preserving and enhancing the character, beauty, economic, and community vitality of Historic Downtown Venice, Florida. Since 1988, Venice MainStreet has operated as a volunteer driven, 501(c)3 nonprofit dedicated to enhancing the quality of life in the community by preserving, protecting, and promoting Historic Downtown Venice. This goal is achieved by bringing interesting events to attract visitors and enhance the lifestyle of local residents. It invests in amenities, marketing, and infrastructure for Historic Downtown Venice. Venice MainStreet is funded by grants, fundraising, donations, and partners. It is an accredited through the Florida Main Street Program and Main Street America. VMS is united with thousands of other Main Street organizations around the country, all of which work in a similar defined district of a historic downtown. Main Streets follow a structured approach called “the four point approach.” This was created in the 1980s by the National Main Street Center in response to nationwide large commercial shopping malls which threatened historic downtowns. VMS was formed by a partnership between the The Downtown Venice Association, City of Venice, the Venice Area Chamber of Commerce, and historic enthusiasts in 1987. For more information, contact info@venicemainstreet.com. 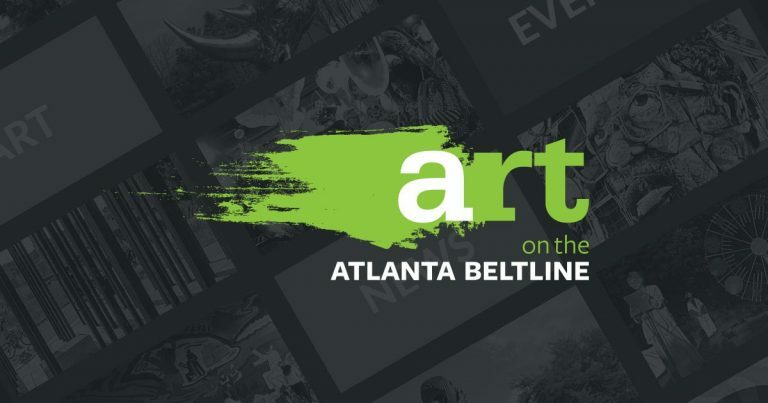 Atlanta BeltLine announces a call for artists for the Art on the Atlanta BeltLine. They seek visual artists, performers, musicians, lecturers, and art historians to apply for the 2019 exhibition season. Historic, environmental, cultural, functional, urban design, and/or aesthetic aspects of the Atlanta BeltLine are good starting points to consider for potential proposal submissions. Projects should be well-researched, well-planned, and feasible. Although not limited to the following examples, potential projects might include all or some of the following: temporary art, sculptural or visual installations; amenities for visitors such as benches, bike racks, and shade structures; gateway or entrance works; performance works including, but not limited to, street and travelling performers, parade, music, dance, theater, and performance art; utilization of fences or screening devices; loan of existing artwork such as sculptures or assemblages; murals; environmental works; school or class projects; historical or didactic works; projects that promote exploration of Atlanta BeltLine trails; and organizational collaborations. The Atlanta BeltLine is the largest temporary public art exhibit in the South, with over 20,000 visitors each week spanning the seven miles of walkable trails. This is the tenth anniversary of Art on the Atlanta BeltLine. With the opening of the Southside interim hiking trail, there will be 12 miles linear gallery space. Accepted works will be experienced by members of over 45 in-town neighborhoods with their diverse backgrounds and culture histories, as well as the myriad unique visitors to the Atlanta-based trails annually. All accepted works will be featured on Atlanta BeltLine social media, press releases, company website, and exhibition catalog. As one of the largest, most wide-ranging urban redevelopment programs in the United States, the Atlanta BeltLine is building a more socially and economically resilient Atlanta with partner organizations and host communities through job creation, inclusive transportation systems, affordable housing, and public spaces for all. The innovative concept began as the master’s thesis project from a Georgia Institute of Technology student in 1999. In the last twenty years, it has grown to be an internationally recognized endeavor, garnering respect and accolades not only for its engineering and transportation ambitions, but also the richness of its community engagement and arts program. For more information, contact mkyle@atlbeltline.org. Sprocket Mural Works, a city-wide mural project in Harrisburg, PA, seeks artists interested in producing an original piece of public art during their second mural festival. 2019 HBG Mural Fest is a focused surge of city beautification through the creation of 10 murals in 10 days. 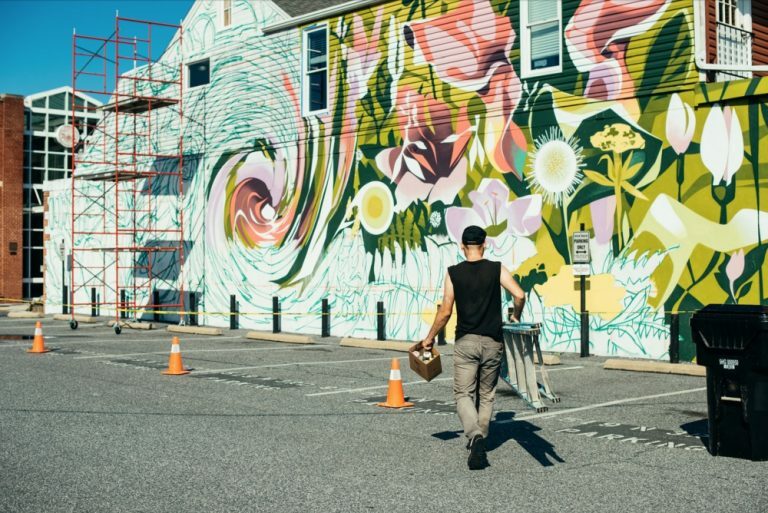 The mural festival will run in Harrisburg, PA, from August 30 – September 8, 2019. The first mural festival in 2017 was an incredible success. Sprocket Mural Works is looking for artists who are excited to be a part of the second effort and make their mark on the city landscape. Prior pubic art experience is appreciated, but not required. Preference will be given to local and regional artists, although national and international artists may be selected. Artists will be notified of their acceptance the week of April 15. The murals will be produced during the 10-day period of August 30 – September 8. Artists must be able to produce a mural within that 10-day period. Starting prior to August 30 may be acceptable, but would need to be coordinated with Sprocket Mural Works in advance. During the 2017 event, Sprocket added 18 public murals to the face of Harrisburg. In doing so, they created the initial framework of a walkable mural tour. In 2019, they aim to fill the gaps in this trail, ultimately making Harrisburg a mural-dense city. 2019 HBG Mural Fest artists will make a permanent, public mark on Pennsylvania’s capital city that will be visible to residents and visitors for years to come. Chosen artists will receive a stipend for their participation and, if required, travel expenses will be covered. Mural materials will be supplied. Walls will be prepped prior to the artist’s arrival. Sprocket Mural Works is a citywide mural project that works with neighborhoods, artists, and organizations to create vibrant community murals across Harrisburg. Their mission is to increase community pride and civic engagement in Harrisburg through creative action. Over the last 5 years, Sprocket has added more than 25 murals to the cityscape of Harrisburg plus a number of additional privately commissioned murals. They have overseen projects for painting utility boxes, planters, and person-sized ducks which, combined, gave more than 20 additional artists an opportunity to be featured around town. For more information, contact hello@sprocketmuralworks.com. Rochester Contemporary Art Center (RoCo) announces a call for artists for their international small art phenomenon 6x6x2019, returning for the 12th year. Build an incredible exhibition of thousands of artworks made and donated by celebrities, artists, designers, college students, and children. Each artwork must be 6 by 6 inches (15 by 15 centimeters) or mounted to a 6 by 6 inch board. All Small Art Phenomenon 6x6x2019 artworks are displayed anonymously. They should be signed only on the back. All entries will be accepted and exhibited both in the gallery and online until July 15, 2019. Entries will be on sale to the public for $20 each to benefit RoCo. Artists’ names will be revealed to the buyer upon purchase. Sold-out artists’ names will be revealed next to their works online July 5. Each artist may enter up to three artworks of any medium except glitter (2D or 3D). There is no fee to enter. There is a three-artwork limit per elementary, middle, or high school. Drop off artworks at RoCo during normal gallery hours Wed-Sun 12-5pm/Friday 12-9pm. Mail artworks by April 13 to Rochester Contemporary Art Center – 137 East Ave, Rochester, NY 14604 USA. As a fundraiser, 6×6 provides about 15% of RoCo’s annual operating budget. Since its inception, RoCo’s 6×6 has displayed more than 60,000 6”x 6” entries representing every state and more than 45 countries. Last year, RoCo received over 6,700 artworks. Rochester Contemporary Art Center (RoCo) creates dialogue and builds community through contemporary art. It is a venue for the exchange of ideas and a not-for-profit 501(c)(3) that was founded in 1977. As a center for thoughtful contemporary art, RoCo provides unique encounters for audiences and extraordinary opportunities for artists. For more information, contact info@rochestercontemporary.org. Giertz Gallery at Parkland College seeks exhibition proposals in all genres of contemporary approaches to art making by solo artists, collaborative groups, or curators. The gallery is a professionally designed gallery devoted primarily to education through contemporary art. Giertz Gallery hosts seven exhibitions per year including two student exhibitions, one Art and Design Faculty Show, and a National Invitational. Other shows vary depending on applications and the vision of the Art Gallery Advisory Board. Exhibits are scheduled for approximately six weeks. Please submit 20 images; an identifying list of titles, sizes, dates, and media; a resume; and an artist statement related to this body of work. Only complete proposal packages including all information listed in the Proposal Guidelines will be reviewed. Exhibition proposals are accepted on an on-going basis for future review. However, application materials must be received by March 15, 2019, to be included in the next review cycle. The artist is responsible for expenses and insurance while the artwork is being transported to the gallery. Giertz Gallery provides return shipping or an honorarium to defray return travel expenses. Giertz Gallery is an equal opportunity/affirmative action institution providing access to exhibitions, arts, and education programs and employment without regard to age, race, color, national origin, gender, religion, sexual orientation, veteran’s status, political affiliation, or disability. We are a section 504/ADA-compliant institution and are free and open to the public. Open to the public and free of charge, the Donna Hyland Giertz Gallery is a teaching gallery, striving to serve the educational and cultural needs of a diverse community. Each year through its exhibitions and programming, the gallery seeks to promote the development of artists’ talent and aesthetic awareness while at the same time expanding the audience’s appreciation of various art forms. The gallery presents exhibitions by contemporary artists of regional and national status. Artists are selected to illustrate a wide range of traditional and innovative work of all media. For more information, contact giertzgallery@parkland.edu. Lanesboro Arts announces a call for artists for the Lanesboro Artist Residency Program, offering two or four week residencies to emerging artists. Participants explore ways in which their work can be applied to the community and how Lanesboro’s rural community can inform their work. The Lanesboro Artist Residency Program, located in Lanesboro, MN (pop. 754), is supported by the Jerome Foundation and aims to provide an immersive, meaningful experience for emerging artists from Minnesota and the five boroughs of New York City. The program provides an entire rural community and its myriad assets as a catalytic vehicle for engagement and artistic experimentation. Staff work with each resident to create a fully-customized residency experience. Lanesboro Arts’ goal is to be flexible and accommodating to artists, allowing them access to local resources needed for conceptualizing and realizing their place-based work. Lanesboro Arts recognizes place-based work as work that is specifically inspired by and designed for the place in which the work takes place. It can be a new project or an interpretation of the artist’s current work tailored to engage the community of Lanesboro. The residency program was designed to align with and amplify Lanesboro Arts’ vision for communities, especially rural communities. The program embraces artists as economic drivers, culture bearers, community builders, and problem solvers. Lanesboro Arts strives to provide artists with a dynamic and compelling array of community assets. They seek out projects where the activation of the people and places of Lanesboro are at the core of the artistic process. Artists are paid $1,000/week. They are provided studio and lodging space. Lanesboro Arts does not cover material or transportation costs. These expenses should be factored into the $1,000/week stipend. Artist groups are eligible to apply, but the weekly stipend is the same and must be split among the collective. Artists must be legal residents of Minnesota or one of the five boroughs of New York City and have been residents for at least one year prior to the submission of an application. Lanesboro Artist Residency Program participants do not need to secure community partners or stakeholders when submitting their application. That said, research done beforehand about the Lanesboro community and surrounding area can strengthen a project proposal. The role of Lanesboro Arts staff for selected artist residents is that of translator and facilitator. The staff works with artists to make the needed connections. They help secure the required resources in order to make selected residency program projects a success. The use of all community resources and assets are subject to approval from property owners and the Lanesboro City Council. Resources will be facilitated with each artist by Lanesboro Arts staff. Lanesboro Arts has a positive, collaborative relationship with these entities. They will work with each resident to find the best venue for all parties. 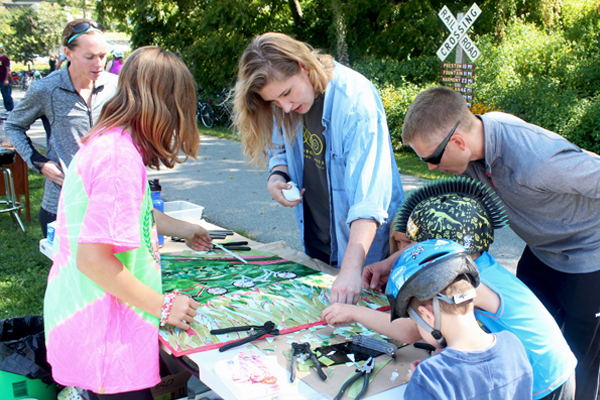 Through a diverse spectrum of community arts programming, Lanesboro Arts supports artists, revitalizes public spaces, and builds a sense of community and civic pride among the 754 people who call Lanesboro home. Programming includes free youth education classes, fine arts galleries, internship programs, performance art, opportunities to participate in public art, and placemaking activities. For nearly 40 years, Lanesboro Arts has built strong cross-sector partnerships. They creatively approach community challenges, most recently with the ongoing realization of the Lanesboro Arts Campus vision. This community-wide initiative aims to integrate the arts into the social and municipal fabric of the city. They do so by placing art in accessible public spaces, identifying and eliminating participation barriers, and building a community identity in which all citizens value the arts. The process of the Lanesboro Arts Campus empowers artists, audiences, and community members to positively contribute to the social, civic, and economic vibrancy of Lanesboro. For more information, contact adam@lanesboroarts.org. artAZ announces a call for artists for Surprise X, the campaign that employs the power of art to raise awareness and funds about major social issues. artAZ is celebrating ten years of fighting adversity with art with their biggest, most exciting edition to date. Artists are invited to create a small format artwork and sign it at the back. The preferred medium is painting. Photography and multiples not accepted. Aside from its charity character, Surprise is a showcase of contemporary art trends. Surprise X artists have the opportunity to participate in an international exhibition. Many artists benefit from creating new connections, cultivating relationships, and receiving orders and commissions from the exhibition’s steady client base and visitors. Equally, art professionals follow the exhibitions with the aim of discovering new talent, which may result in new collaborations. Surprise X is extensively supported by the press. artAZ is an art platform dedicated to the promotion of contemporary art. 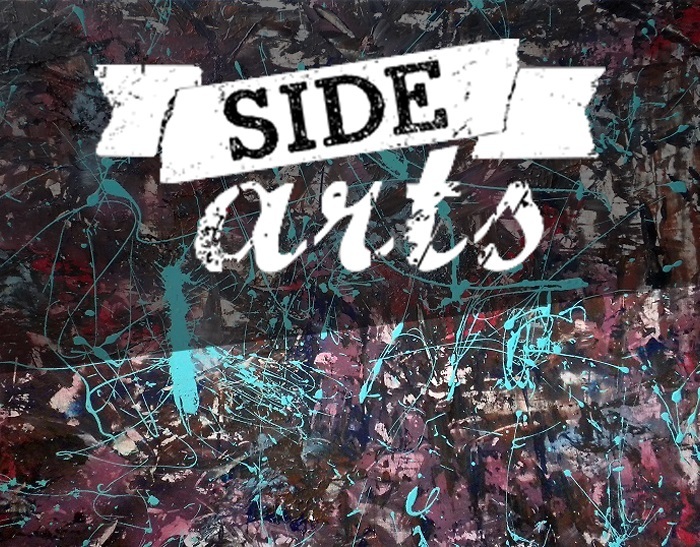 Its mission is to create links between artists, audiences, and art scenes around the world. It is the leading art platform in Greece, introducing the concept of the organised online art community to the country as early as 2007. Since then, the platform has opened a physical space in Athens and presented numerous exhibitions in Greece and internationally. Surprise is the longest running, most popular, and successful benefit art campaign in the country, presented annually since 2009. For more information, contact info@artaz.gr.